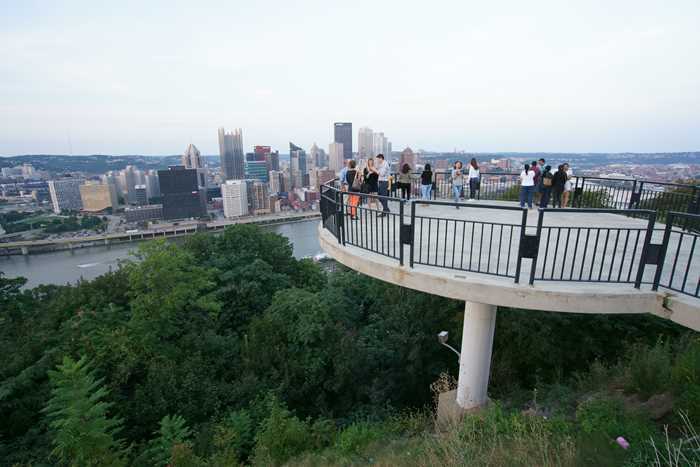 There’s no better way to begin or end a trip than with the great views of Pittsburgh you’ll find on Mount Washington. This hill offers what’s arguably the best viewpoints of this beautiful city, and there are numerous spots from which you can enjoy the sight of three rivers converging next to those gleaming steel-and-glass skyscrapers. There are several ways to access Mount Washington. 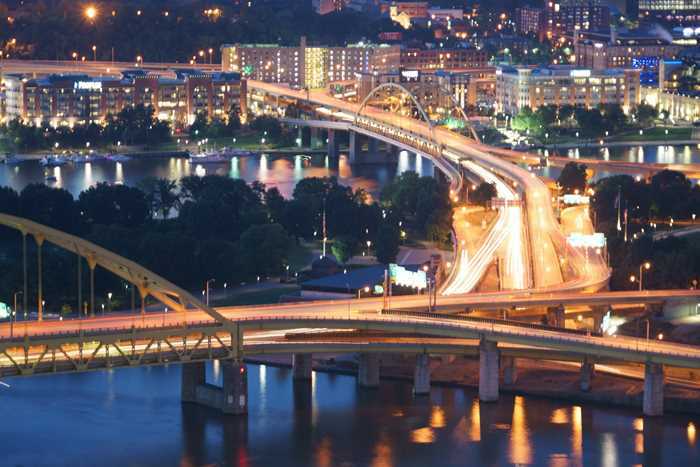 From downtown Pittsburgh, take the Liberty Bridge to PJ McArdle Roadway, which climbs the hill. At the top, turn onto Grandview Avenue and pick your viewpoint. From the south, exit off of Interstate 376 onto Bypass 19, then turn onto Woodruff Street. Keep left onto Merrimac Street, and you’ll arrive at Grandview Avenue. Alternatively, you could take one of the two incline railways up the hill from the city side — the Monongahela Incline departs from near the Station Square subway station, while the Duquesne Incline is further west, across the river from Point State Park. 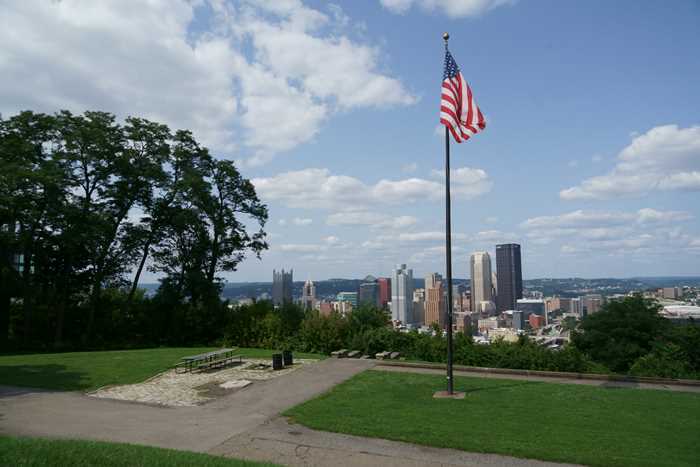 You can choose several places on Mount Washington to find great views of Pittsburgh. Let’s start at the western end of the hill. 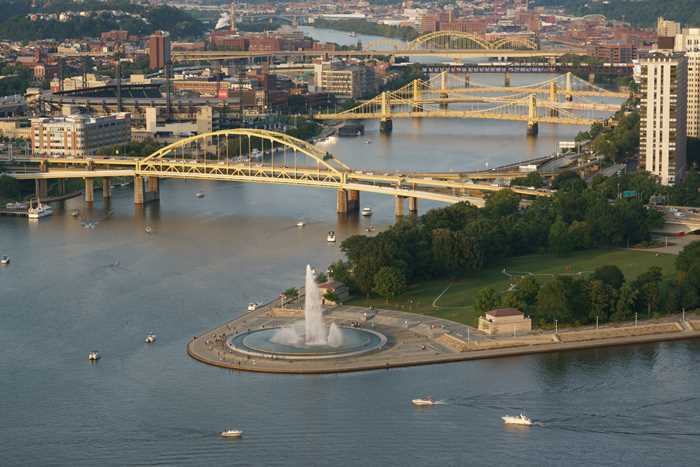 This is where you’ll find the most recognizable view of Pittsburgh. How many times have you seen this exact photo of the Duquesne Incline climbing towards the station, with the gleaming Steel City behind it? You’ll find the Duquesne Incline slightly west of the main tourist “strip”. There is limited parking on Grandview Avenue and some side streets. 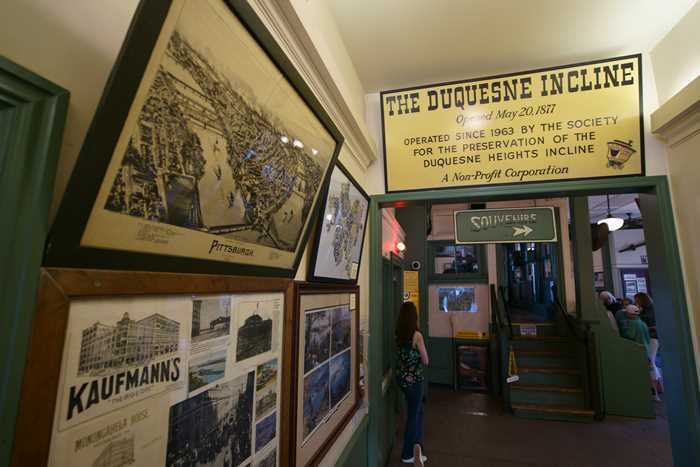 Even if you don’t ride the Duquesne Incline, you should step into the building to see the small museum highlighting the history of Pittsburgh and the incline. Also, you’ll need to walk through the building to get to the patio area, where you can snap that iconic picture. … and a statue at Point of View Park, which depicts George Washington’s meeting with Seneca leader Guyasuta in October 1770. The view was much different back then — but the rivers were still there. 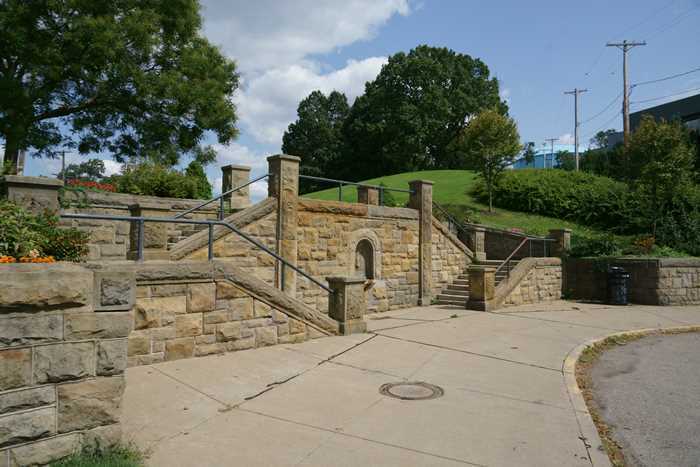 The main stretch of Grandview Avenue is your best bet for numerous great views of Pittsburgh. You’ll find this area by turning left from the McArdle Roadway, or right from Merrimac Street. 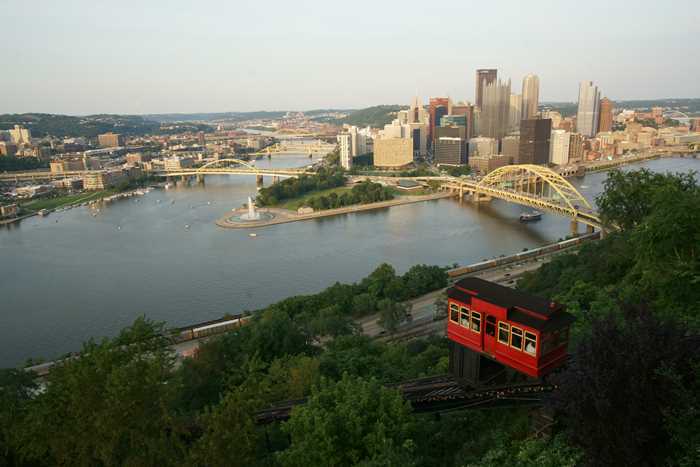 The Monongahela Incline will also deliver you here from Station Square at the bottom of the hill. 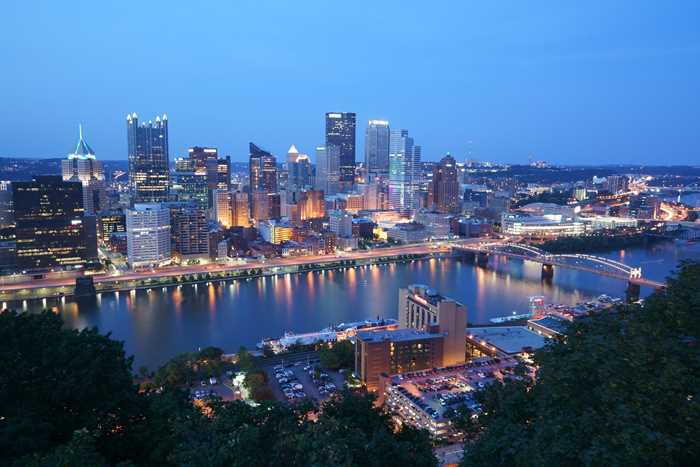 … and see those great views of Pittsburgh. And if you stick around until twilight, the views get even better. 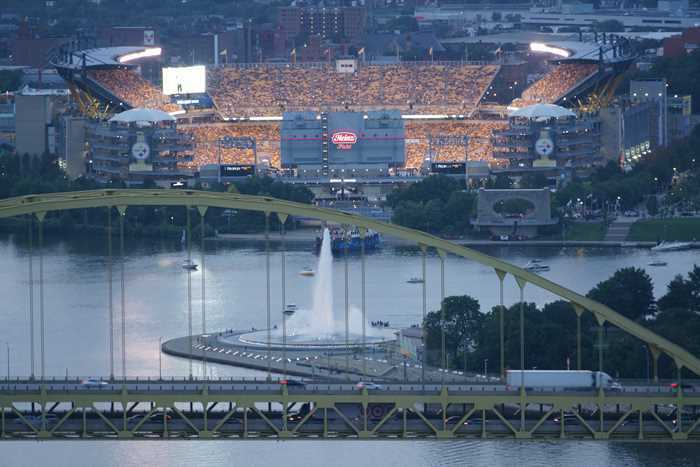 You might even get to watch a Steelers game, over at Heinz Field (although the view is somewhat obstructed). 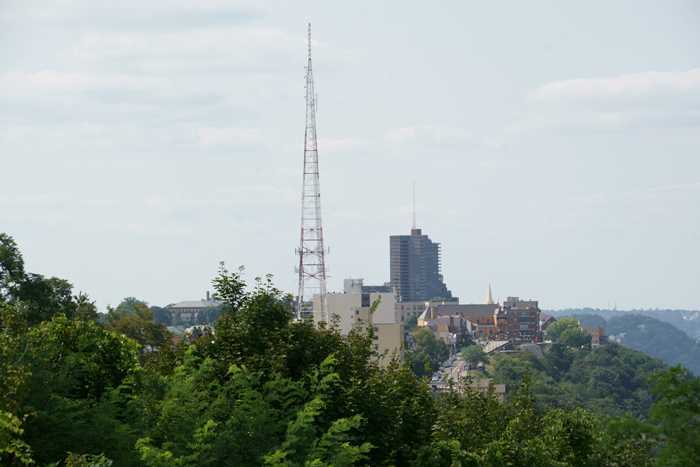 Before you leave, look for the nice little business district near the end of Grandview Avenue, near the Monongahela Incline, almost directly underneath the big broadcast tower. This is not the most spectacular view of Pittsburgh, but if you’re in the area, it’s still worth visiting. Emerald View Park is nestled in the residential neighborhood that’s east of the more popular Grandview Avenue viewpoints. You’ll find the park at the east end of Bailey Avenue, as it turns into Beltzhoover Avenue. In addition to a bandstand, and some views that are partially limited by the trees, you’ll also find a hiking trail that starts here, and runs west to Bigbee Field, another part of Emerald View Park, a few blocks away. This trail dates back to the WPA in the 1930’s. From here, you can look towards the west, and see Grandview Avenue and that landmark radio tower. Mount Washington is one of my favorite places to visit. It provides great views of Pittsburgh that you won’t find in most cities, putting you at eye-level with the tops of the skyscrapers. Any visit to Pittsburgh would be complete without making a stop here.